unstable state to the other without any external trigger. 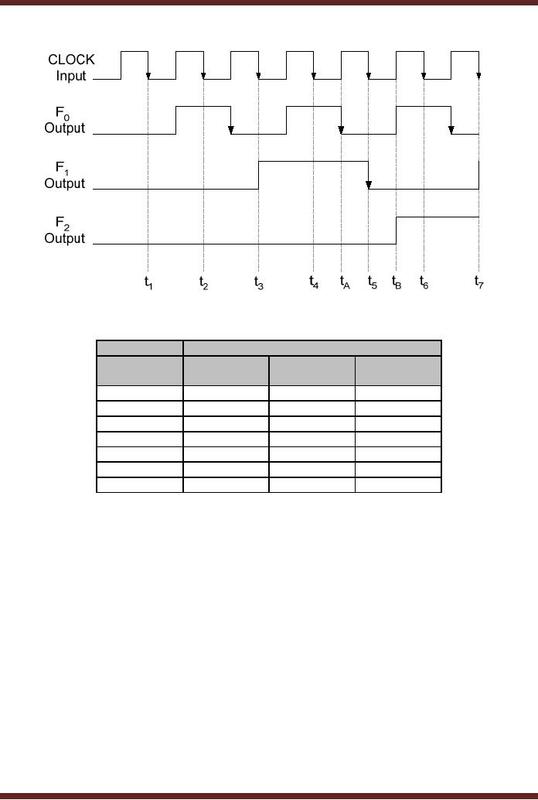 potential timing problem as shown in figure 26.1. Assume the initial outputs of flip-flop 1 and 2 are at logic high and low respectively. 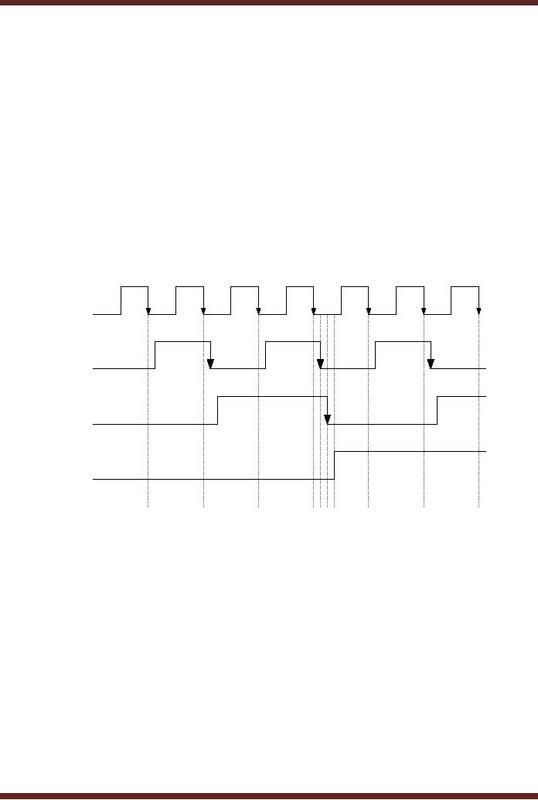 high to low clock transition at the clock input of Flip-flop 2 also occurs at the same instant t1. 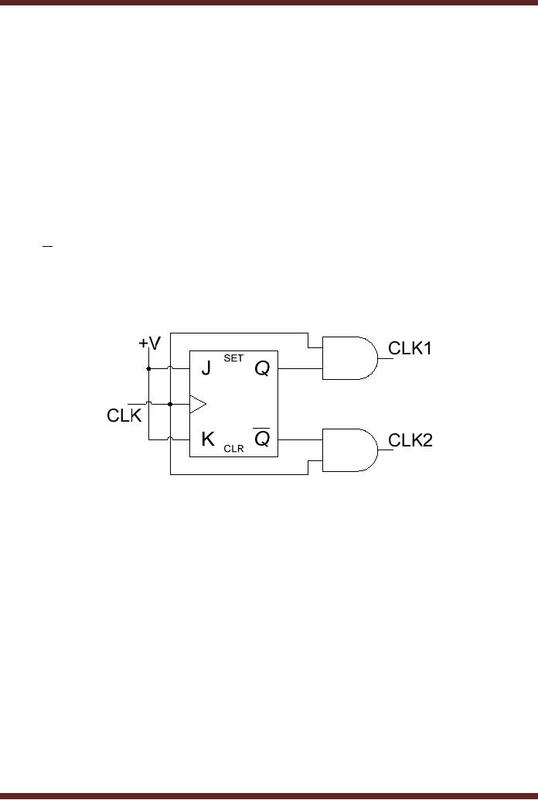 In the circuit diagram both the flip-flops are connected to the same clock signal. 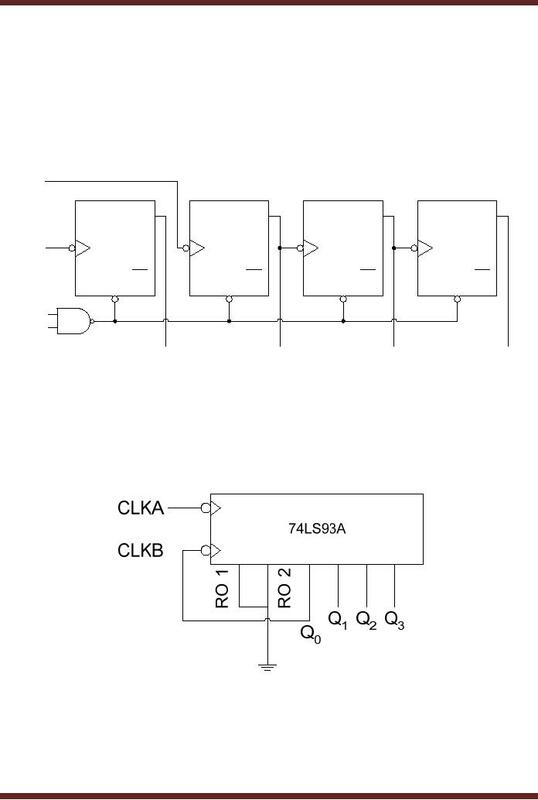 input of flip-flop is set to logic high and at the clock transition the output F2 is set to logic high. 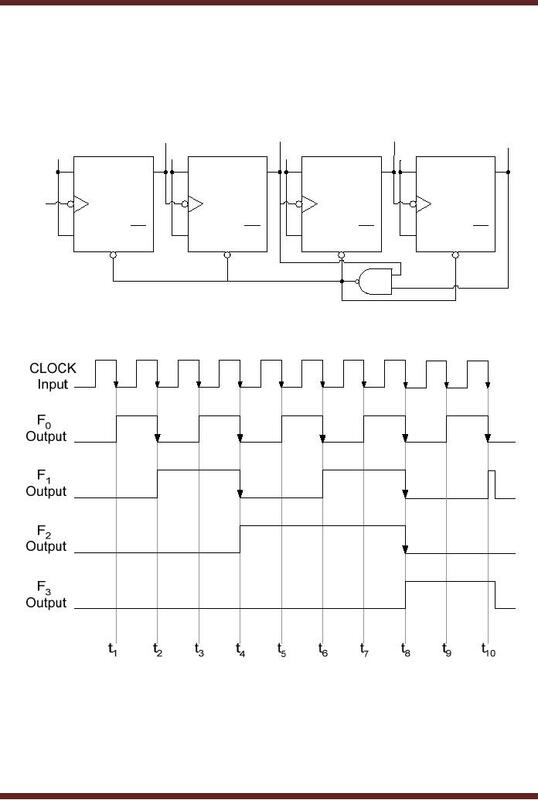 be eliminated by equalizing clock delays to different parts of the circuit. the flip-flops in a Synchronous counter receive clock signals simultaneously. number of states or the range of numbers to which the counters can count. also known as Ripple Counters due to the rippling effect of the clock signal. 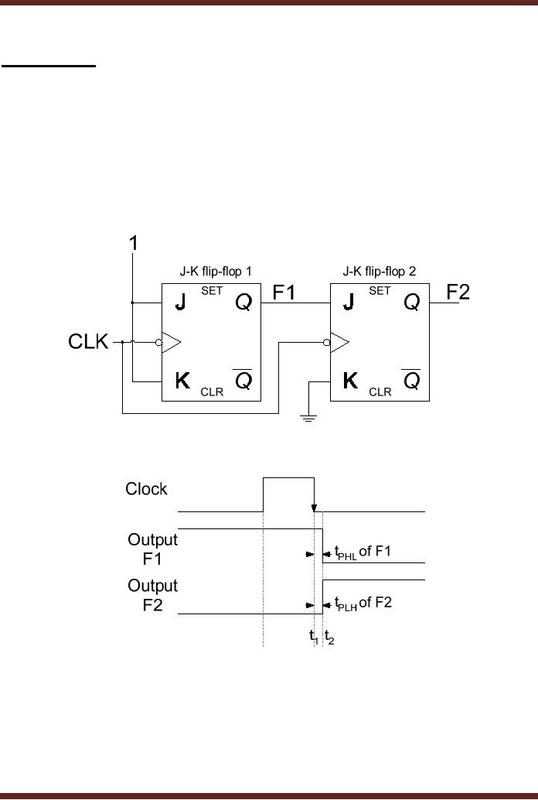 output state on a high to low transition at their clock input. and t8 on a high to low transition of the flip-flop output F1. flop. Finally, at interval t6 the transition in F1 output toggles the output F2 of the third flip-flop. 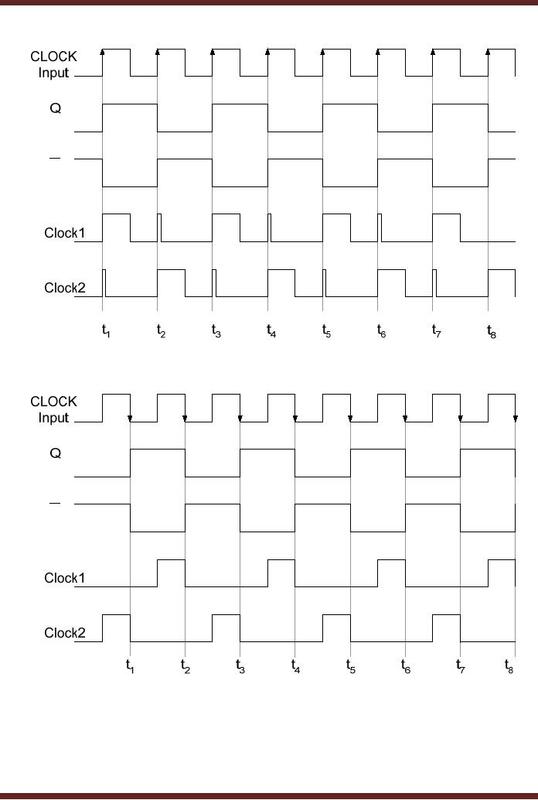 high clock frequencies and cause problems with decoding circuits. toggled to logic high at interval tB after a delay of tPLH after the clock (F1) transition at interval t5. interval t5 should be 100 instead of 010. 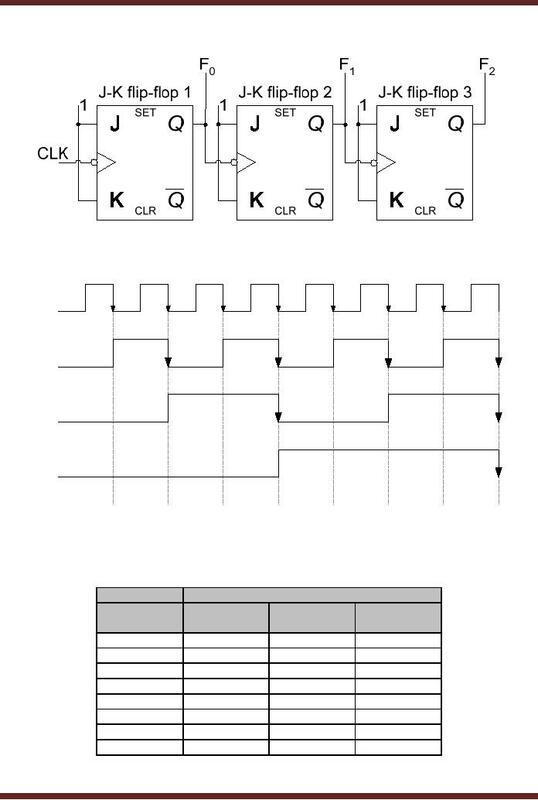 8 counter implemented using three flip-flops 23 has 8 output states. sequence is reached. 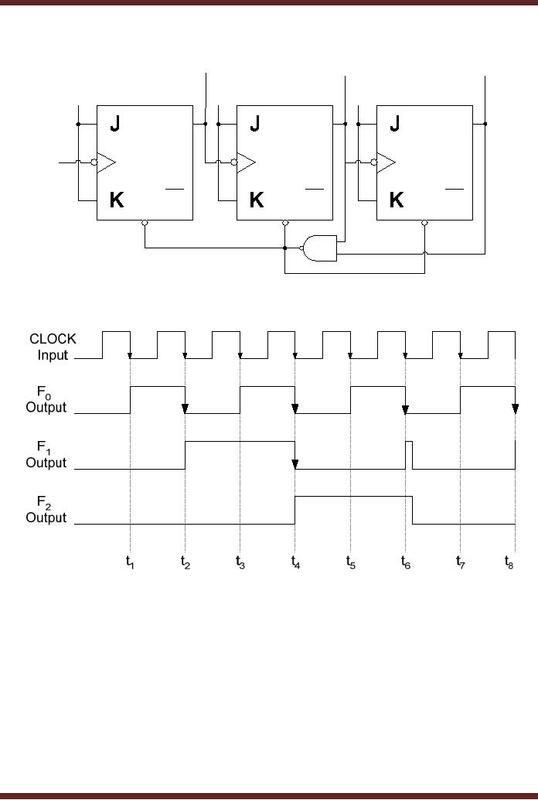 The Mod-6 counter is shown in figure 26.7.
generate 1/nth frequency signal with respect to the input clock signal. frequency of the output signal is 1/10th the input clock frequency. Figure 26.8. 2 respectively. 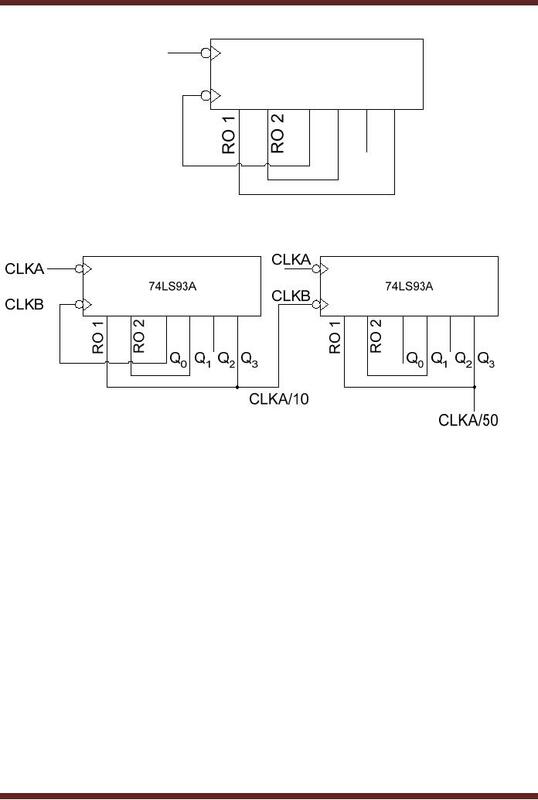 Figure 26.10 Two 74LS 93As ca be cascaded together to form a larger counter. 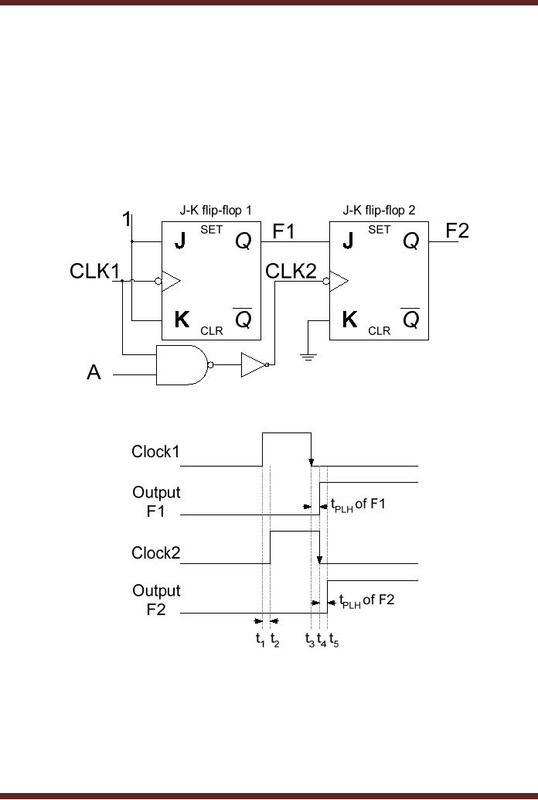 use of only three flip-flops, therefore the first flip-flop with clock input CLKA is left unconnected.